Jerry Colangelo transferred to the University of Illinois after prospective Illini basketball teammate, Wilt Chamberlain, chose to sign professionally. A high school arm injury to Colangelo had limited his baseball career to just two seasons of baseball at Illinois, and his athletic focus turned to hoops. He earned All-Big Ten honors for the Illini, averaging 15 points a game, served as team captain as a senior and was an eventual inductee in the Illinois Basketball Hall of Fame. Hired as the Suns’ first general manager on March 1, 1968, Jerry became the youngest General Manager in professional sports and has the second longest tenure running the same NBA franchise only to be exceeded by Red Auerbach of the Boston Celtics. After becoming the President and CEO of the Suns, Colangelo inked the first unrestricted free agent in NBA history, which earned him the NBA Executive of the Year. He is the first person to win this award four times. In 1995, Colangelo assembled a group of investors that led to major league baseball awarding them a national league franchise—now the Arizona Diamondbacks. An intensely competitive individual, Colangelo led the charge in the one-year turnaround of the Diamondbacks, earmarking ownership dollars for the acquisition of key ingredients to a club that went from 65 wins in its inaugural campaign to 100 victories and a National League Western Division crown in just its second year. The 35-game turnover was just one of the first that also included the fastest expansion team to reach the century mark in wins and the fastest expansion team by six years to win a division title and a World Championship. Though his time is always at a premium, he managed to find time to author a book, “How You Play the Game,” giving insight into the world of the business of sports. He is known as a savvy businessman and astute judge of basketball and baseball talent. Colangelo currently serves as the Chairman of USA Basketball. 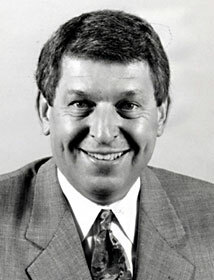 Colangelo was elected to the National Italian American Sports Hall of Fame in 1994 and the Naismith Basketball Hall of Fame in 2004.